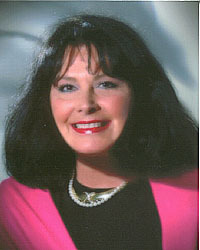 Flora Mainord, of Knoxville, Tennessee, is an Etiquette Consultant. • Trained and certified at The Protocol School of Washington, Washington, D C.
• Trained and certified at The American School of Protocol, Atlanta, Georgia. • Member of the International Association of Protocol Consultants. • Trained and certified at the International Association of Protocol Executive Education Program: Mastering Protocol, Etiquette, and Civility, Washington, D C.
• Attended the University of Tennessee. • Taught Etiquette to more than 6000 young girls and boys. • Taught Adult Etiquette Classes to hundreds of men and women. • Etiquette Consultant to WBIR-TV--- A Show for You. • Fashion Consultant and District Manager for New York Designer Collection “CARLISLE”. • Fashion Director and Manager of a major department store. • Organized a Council of Career Women and with funds raised, we gave a high school senior a scholarship to U.T. for many years. • Started “Knoxville’s Ten Best Dressed Women”. • Wrote a weekly fashion article for a Newspaper. • Presented Seminars across Tennessee on “Your Image”. • Taught adult Self Improvement Classes for Women at Maryville College Evening School. • Channel 10 Weather personality.